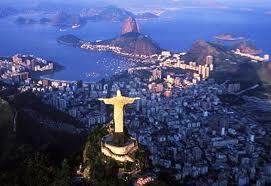 As long as I can remember, I have thought it would be magnificent to see the monument of Christ the Redeemer. I think my first notion that it existed came from the disaster movies. You know when they show scenes from across the world, showing special monuments and cities collapsing? 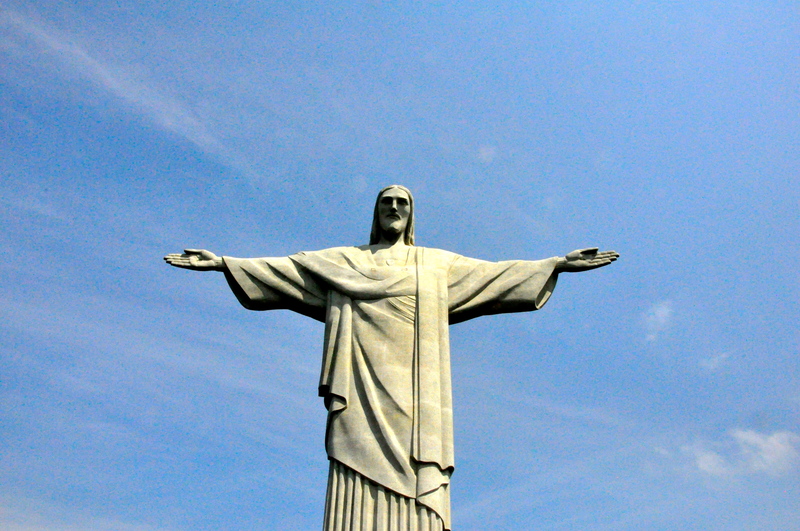 Built for the 100 year anniversary of Brazil’s independence, the Christ monument came from the Catholic Circle of Rio. It was funded by Brazilian donations and designed by a French sculptor. They selected the Corovado mountain for its view over the city. The photography I have seen of the monument is so peaceful and serene. With sun setting over him, the enormous mountain, and the immense city, it certainly gives you a feeling that he is protecting the metropolis. It is no wonder that this special monument and place was selected to be one of the seven new wonders of the world. 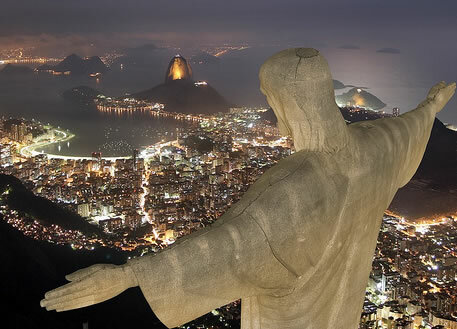 He is visible from a large part of Rio de Janeiro itself. As you drive along, you can see him on the Corovado mountain, from most vantage points. And beyond getting an ants view, we had the chance to visit the monument while in Rio. 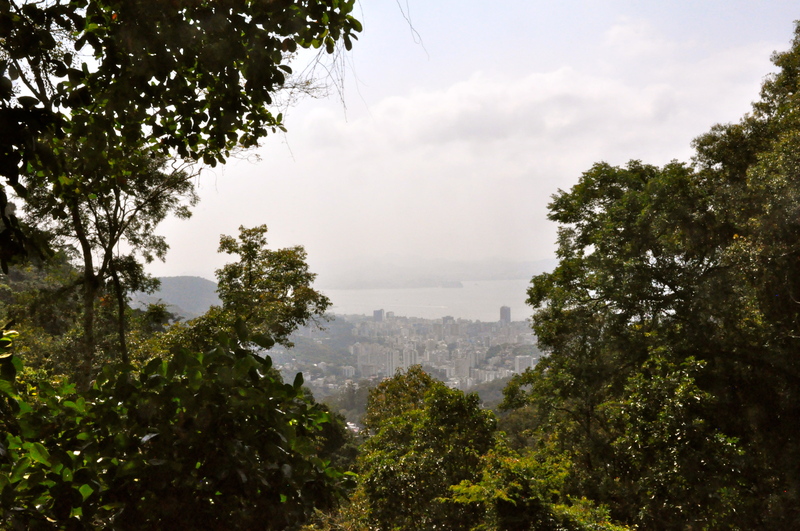 We took a furnicular train up the mountain which was neat as it took us through the Tijuca rainforest. It was our first time in a rainforest, so that was cool in itself. After 25 minutes and 2,310 feet (704 m), we reached the summit. 250 stairs or an elevator then take you to the Christ’s feet. It was pretty miraculous. The views and the sheer size of The Christ was breathtaking. I only wish we were able to get the views from behind him to witness the same perspective of him holding the city as the photo above. Our guide said these were done from a helicopter. Oh well. Next time. Anyhow, I am thankful for the chance to go see this beautiful monument and part of our world. This entry was posted in Alps & Other Big Mountains, Travel: South America. Bookmark the permalink.